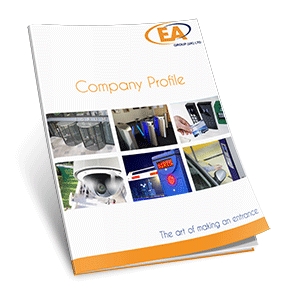 The EA framed revolving doors are based upon the traditional centre pivoting shaft concept, incorporating the latest engineering design and are manufactured from the highest quality component parts and electronics to ensure their reputation for reliability. 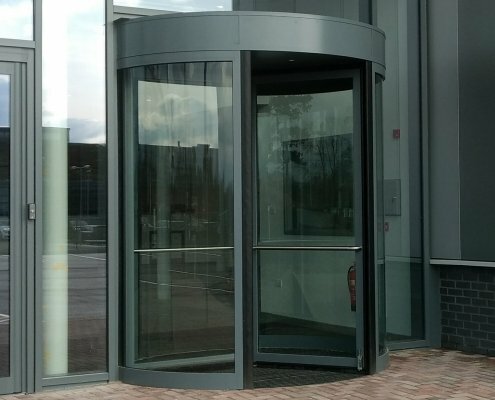 Available in either manual or fully automatic drive configurations and with a range of options to fulfill the applications that these revolving doors are frequently specified for such as; speed controller (manual doors) laser radars (automatic doors), and overhead integral heaters to name a few. All of these revolving doors are available in a choice of finishes to make the door modern contemporary, traditional, or a twist between the two. We offer stainless steel (brushed or polished), brass or bronze finishes, PPC to any RAL colour or Anodised. We can even offer copper cladding as an additional optional finish. 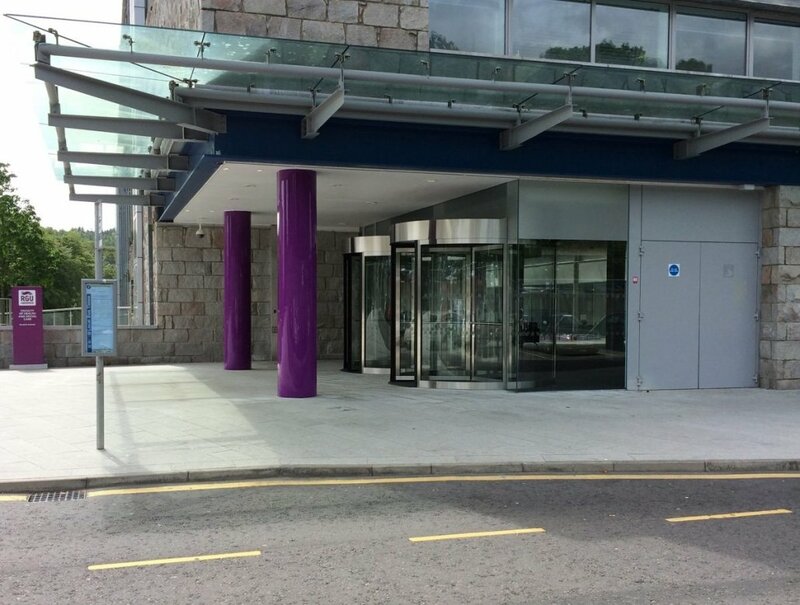 As standard, our automatic revolving doors include; neatly integrated activation and safety radars recessed into the soffit for a cleaner appearance. In addition, we can neatly incorporate optional heater systems aesthetically into the top head of the door so only the fins of the heater duct vents are visible as pedestrians walk beneath. 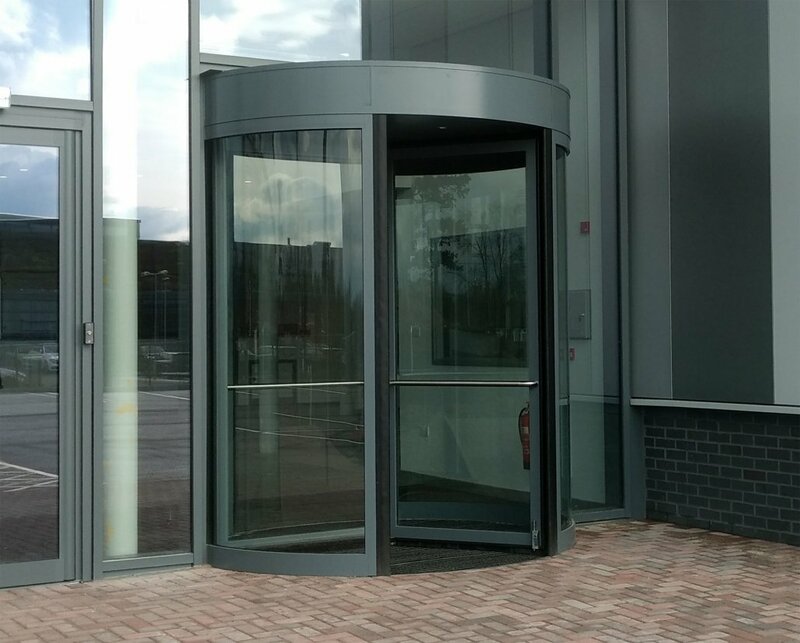 The EA023 is the framed Automatic Revolving Door that shares its robust strong construction and aesthetically pleasing finishes, however it is fully automated using Siemens control equipment and the highest quality motors and drive mechanism. It is also available in both three and four wing versions, and with the same choice of finishes offering architects and designers real scope to specify this door into their creative buildings. 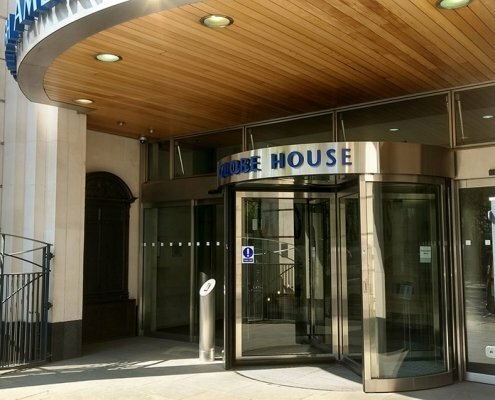 Being automated, the revolving door can be set from a key-switch to remain parked in the stop position and only start to revolve on detecting the approach of pedestrians, or it can be set to rotate very slowly, speeding up to a pedestrian pace on the detection of approaching pedestrians. 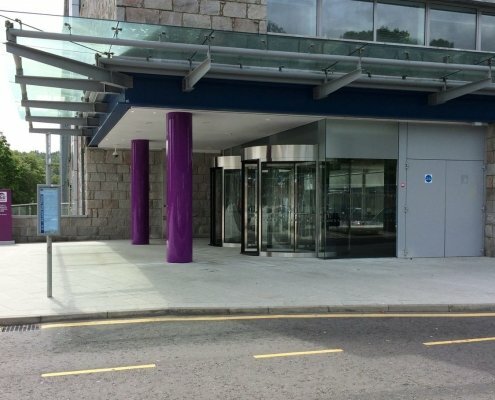 In both cases the revolving door will rotate after the last pedestrian has passed through and slowly come to a stop in its pre-set parked position. 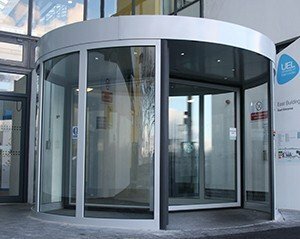 The EA023-M is a framed Manual Revolving Door which can be configured as either three or four wing versions, offering flexibility to both project budget and the access needs of the building. The KM023 Manual Revolving Door can optionally be supplied with the now synonymous EA Door Speed Controller to strictly govern the maximum speed that the door can rotate at, in either direction. Designed for manual doors within buildings that are vulnerable to individuals spinning the doors, this optional feature is popular with universities, schools and other facilities where ‘horse-play’ can occur around the revolving doors. The EA Speed Controller incorporates a robust direct drive gearing control mechanism, eliminating belt and pulley assemblies that so often fail with other speed controllers. 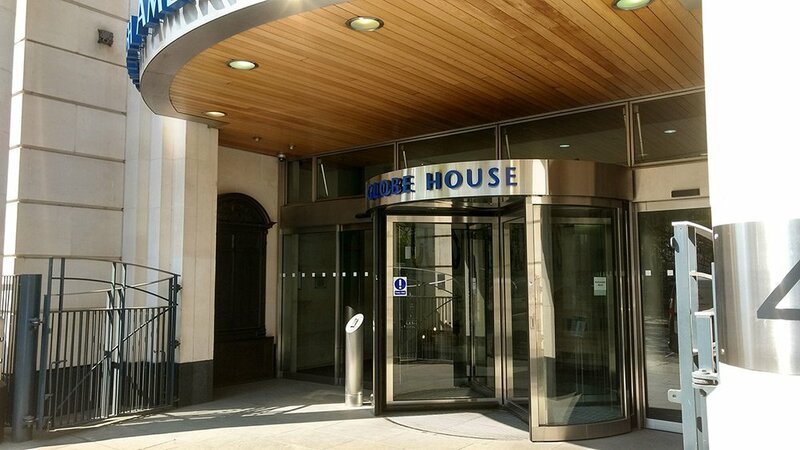 Our revolving doors have been installed in many different buildings including offices, hotels, schools, colleges and universities to name a few. 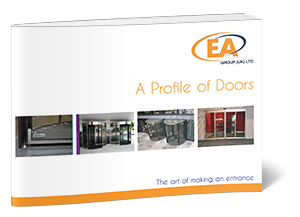 Within our brochure ‘Profile of Doors’, we show a some of our manual revolving door installations.